There’s a reason Buckland and Torrey Halls look so similar: both were designed in the 1950s by architect Douglas Orr. Buckland, while beloved by those who have lived in its spacious doubles and enjoyed its convenient dining hall, is often referred to as a “60s office building.” Still, it boasts large built-in closets, charming vanities, and beautifully wide windows with thick marble sills. Brigham Hall was named in honor of Mary Brigham, the eighth president of Mount Holyoke, whose tragic death en route to her official appointment rocked the campus community. Brigham Hall was hailed after its construction as “expressive of the strength and beauty of her character.” Students today adore Brigham Hall for its spacious rooms, enticing dumbwaiter, and ideal location close to classes, the library, and the Village Commons. As the first hall to replace the Seminary Building, which burned to the ground in October 1896, Brigham Hall represents the strength of will and giving spirit that empowers all Mount Holyoke students and alumnae. After the fire, trustees of the College voted to build new halls at once. The construction was made possible by donations from many benefactors and alumnae contributors. Money enough to build four new dorms was raised within a year of the tragic fire. Generous gifts given by the alumnae clubs of New York and Brooklyn allowed for this first residence hall to be “the most beautiful in its appointments” of all the new houses being built on campus, though the students living in it were likely just happy for a roof over their heads in the cold Massachusetts winter. President William Howard Taft couldn’t make it to Mount Holyoke’s 75th anniversary celebration, but he sent his regards to Mount Holyoke President Mary Woolley. In his letter dated October 4, 1912, the Taft expressed regret that he would miss seeing such a interesting point of his family’s history—his mother Louise Torrey was a member of Mount Holyoke’s class of 1845. As students at the College’s lengthy anniversary celebration listened to President Woolley deliver this address, they undoubtedly felt the distinction and pride that came with being a Mount Holyoke woman echoing through the highest office in the land. Taft had a way with words—he described Mount Holyoke as “an institution that has done so much good for the whole country,” and congratulated the school and its administration for their noble history and important role in shaping the nation. Construction of the Reese Psychology and Education Building in 1965–1966 was a labor of love. The project was supervised by the Department of Psychology and Education to ensure that the building’s facilities would be optimal for serving academic needs. Reese houses offices, lecture and seminar rooms, an education curriculum library, laboratories, computer facilities, a vivarium space for research animals, and a complex of shops for the construction of laboratory and teaching apparatus. Deacon Porter’s Hat has acquired an almost mythical status at Mount Holyoke College. This traditional dessert, a spiced pudding prepared with molasses and served in the shape of a stovepipe hat, is prepared infrequently today. Not so in College founder Mary Lyon’s time, when one student lamented to her family that although she wanted to bake a batch for them she couldn’t convert the recipe, written to serve 300, into something more manageable. Dedicated to the memory and legacy of Elizabeth Mead, Mead Hall is one of the most beloved dorms on campus. Situated comfortably between Woolley Circle and Blanchard Campus Center, Mead is valued for its beautiful architecture, well-appointed common spaces, and prominent location on the south face of Skinner Green. 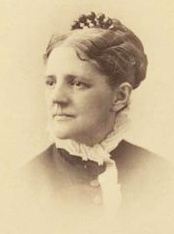 President of the College from 1890 to 1900, Elizabeth Mead was an instrumental changemaker in the formation of Mount Holyoke as we know it today. 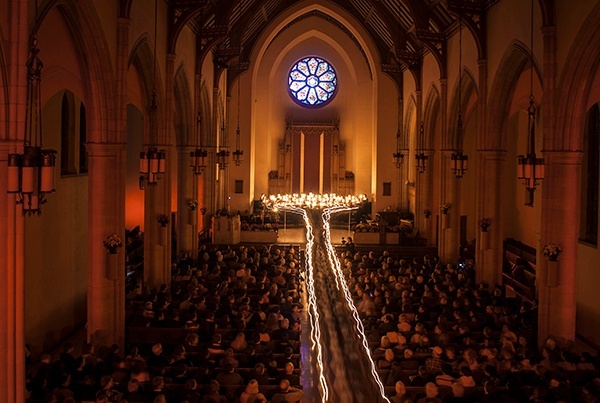 Dedicated to upholding the “imperishable name of Mary Lyon,” she was key in ushering Mount Holyoke through its transition from female seminary to full-fledged college. Mead, the first principal or president who was not a Mount Holyoke alumna, brought fresh perspectives and wise insight to her presidency. Since its renaming in 1931, Dickinson House has been the focus of one of Mount Holyoke’s most common misconceptions. Students, family, alumnae, and visitors to the College all assume the same thing: that Dickinson House, located at the south end of campus and just across College Street, was named after poet Emily Dickinson, one of the College’s most famous alumnae. Rockefeller Hall is a familiar sight to Mount Holyoke students and alumnae, but the only reminders of “Old Rocky”—the first Rockefeller Hall, which burned to the ground in 1922—live on in the Archives. “Old Rocky” was built in 1896, thanks to the generosity of benefactor John D. Rockefeller, and housed more than 125 students, faculty members, and maids.